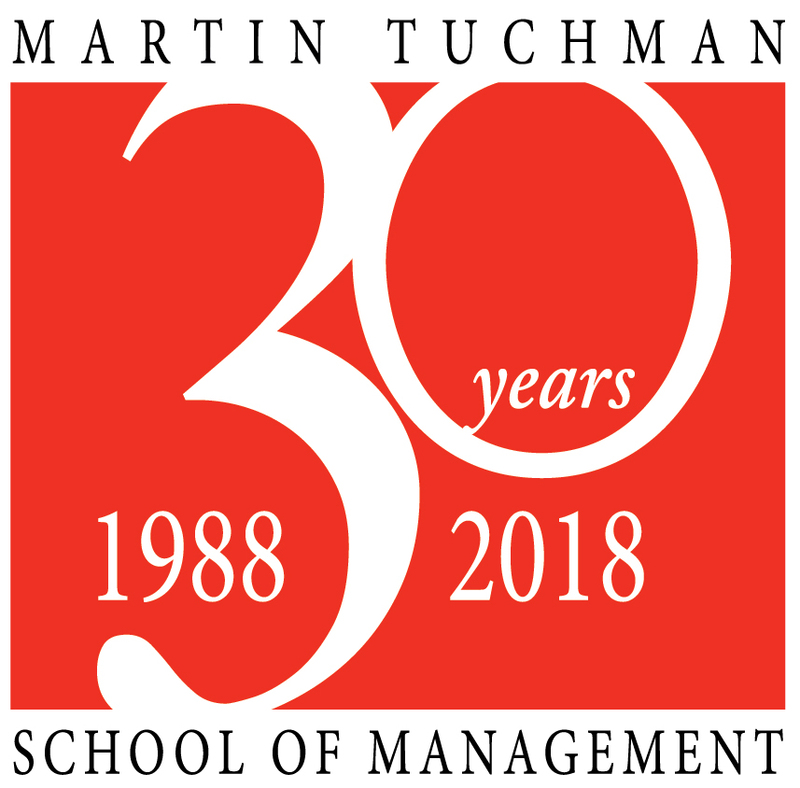 Dr. Egbelu is a Distinguished Professor in the Martin Tuchman School of Management at New Jersey Institute of Technology (NJIT). He served as the Dean of the School of Management at NJIT and holder of Then and Clarke Chair. Prior to joining NJIT, he also served as the Dean of NSF (National Science Foundation) Academy in Washington, DC, the premier US research agency. As Dean, he was the chief learning officer and a member of the US Government Senior Executive Service, the highest grade level in the US government. He also served as the Dean of Engineering and Bert Turner Distinguished Professor at Louisiana State University, a college with a faculty size of over 150 and staff size of 90. Before he joined Louisiana State University, he also served as Professor and Chair of Industrial Engineering at Iowa State University, Assistant and Associate Professor of Industrial Engineering at Pennsylvania State University, and Assistant Professor of Industrial Engineering and Operations Research at Syracuse University. Prior to his appointments at Iowa State, he also served as an NSF Program Director for three research programs. He is a Fellow of the Institute of Industrial Engineers, a Fellow of Nigerian Academy of Sciences, and a Fellow of Nigerian Academy of Engineering. He has served on the advisory boards of many organizations, including the US Federal Aviation Administration, multiple Directorates at NSF, and Louisiana Foundation for Excellence in Science, Technology, and Education. He is a registered professional engineer in the State of Louisiana. Professor Egbelu has made notable contributions to engineering education and research. He is a renowned researcher in material handling, cross-docking, supply chain management, manufacturing systems analysis, and scheduling. He has published over 150 technical papers, with more than 80 of these in archival journals. He has supervised 15 PhD students and over 30 masters’ students. He has collaborated with researchers worldwide. He was a founding member of the Africa-USA Conference series on Manufacturing Technology. • M.S.I.E. Virginia Polytechnic Institute and State University, 1979. • 2007-2011 Professor of Industrial Engineering, Louisiana State University, Baton Rouge, Louisiana. • 2000-2004 Dean of Engineering and Bert Turner Distinguished Professor, Louisiana State University, Baton Rouge, Louisiana. • 1994-1996 Program Director, Operations Research and Production Systems Programs, Division of Design and Manufacturing, Engineering Directorate, The National Science Foundation, Arlington, Virginia..
• 1990-1995 Associate Professor -- Department of Industrial and Management Systems Engineering, The Pennsylvania State University, University Park, PA.
• 1984-1990 Assistant Professor Department of Industrial and Management Systems Engineering, The Pennsylvania State University, University Park, PA.
• 1982 - 1984 Assistant Professor Department of Industrial Engineering and Operations Research, Syracuse University, Syracuse, New York. • Louisiana Foundation for Excellence in Science, Technology, and Education (LaFESTE), 2003—present. • Member of Advisory Council, Directorate for Engineering, National Science Foundation, 2000-2003. • Member of Advisory Council, Federal Aviation Administration (FAA) Advisory Board on Staffing Standards for Air Traffic Controllers through the National Academy of Sciences, 1996-1997. • Led a delegation of 11 USA Academic Researchers, Educators, and Industrial Representatives to South Africa to explore collaboration in manufacturing education and research. The trip was funded by the National Science Foundation, Washington, DC., 1997. • Committee of Visitors (COV), International Program, National Science Foundation, 1999. • Committee of Visitors (COV), Division of Design, Manufacture, and Industrial Innovation (DMII), National Science Foundation, 2000. • Director, Committee on the Development of a Blueprint for an Academic Research Funding Agency in Nigeria, Sponsored by the Nigerian Ministry of Science & Technology, Abuja, Nigeria, 2006-2007. • Committee of Visitors (COV), Division of Civil, Mechanical, and Manufacturing Innovation (CMMI), National Science Foundation, 2009. • Department Editor, Facilities Layout & Material handling, IIE Transactions (1993 - 2000). Registered engineer in the State of Louisiana, PE #34272. • US-South Africa Graduate Students Exchange Program, PI, Amount: $52,000, Source: National Science Foundation, Arlington, VA, 1998. • US-South Africa Collaboration in Manufacturing Research and Education, PI, Amount: $84,000, Source: Source: National Science Foundation, Arlington, VA, 1997. • Layout and Material Flow System Redesign at the Coralville Facility of Rockwell International, Co-PI: R. Berger and J. Even, Amount. $39,230; Source: Rockwell International Company, Cedar Rapids, IA, 1996. • Device Independent Multi-Media Universal Interface System for Medical Information Management, Co-PI: S. Kumara, J. Ventura, C. Harmonosky, S. Joshi, and Armstrong County Hospital; Amount: $1.4 million ; Source: ARPA (Advance Research Procurement Agency); 1994-1995. • IPA Assignment, PI, Amount: $211,758, PI, Source: National Science Foundation, Arlington, VA, 1994-1996. • Cost Estimating and Production Planning at PMC (York, PA); Co-PI: P.J. Egbelu and Jose Ventura; Amount = $15000; Source: PMC of York, PA. a subsidiary of Wolf Organization of York, PA; 1993-1994. • Design of Integrated Stockless and Distribution System for the Healthcare Industry, PI, Amount: $350,000, Source: National Science Foundation, 1991-1993. • Sarker, B, Egbelu, P.J., Liao, T.W., and Yu, J., Planning and Design Models for Construction Industry: A Critical Survey, Automation in Construction, 22 (2012), pp.123-134. • Yu, Wooyeon and Egbelu, P.J., “Scheduling of Inbound and Outbound Trucks in Cross Docking Systems with Temporary Storage,” European Journal of Operational Research, 184 (2008), pp.377-396. • Pathumnakul, Supachai and Egbelu, P.J., ‘An Algorithm for Minimizing Weighted Earliness Penalty in Assembly Job Shops,’ International J. Production Economics, Vol.103 (2006), 230-245. • Cho, Chiwoon and Egbelu, P.J., ‘Design of a Web-Based Integrated Material Handling System for Manufacturing Applications,’ International Journal of Production Research, Vol 43, 2 (Jan 2005), pp.375-403. • Pathumnakul, Supachai and Egbelu, P.J., ‘Algorithm for Minimizing Weighted Earliness Penalty in Single Machine Problem,’ European Journal of Operational Research, Vol.161, No.3 (March 2005), pp.780-796. • Liao, T.W, Egbelu, P.J., Sarker, B.R., and Leu, S.S., Metaheuristics for Project and Construction Management – a Survey, accepted for publication in Automation in Construction. • Liao, T.W., Egbelu, P.J., and Chang, P-C., Simultaneous Assignment and Sequencing of Inbound Trucks Under a Fixed Outbound Truck Schedule in Multi-Door Cross docking Operations, International Journal of Production Economics, accepted for publications. • Egbelu, P.J., ‘Preparing Nigerians for a Knowledge Driven Economy through Science and Engineering,’ Proceedings of the Nigerian National Order of Merit Forum, Abuja, Nigeria, December 2-4, 2008. • Egbelu, P.J., “An Analysis of the Competitiveness of the Manufacturing Sector in Africa”, Proceedings, Africa-USA Conference on Manufacturing Technology, Abuja, Nigeria, July 8-11, 2002. • Yu, Wooyeon and Egbelu, P.J., Control of a Cross docking Operation in a Supply Chain System, Computers and Industrial Engineering Conference, Tino Island, Greece, June, 2002. • Okogbaa, G.O. and Egbelu, P.J., Engineering Ethics, “An Imperative for Sustainable Development,” 5th Africa-USA International Conference on Manufacturing Technology, Abuja, Nigeria, July 10-14, 2000. • Egbelu, P.J., Collaborative Product Development in a Supply Chain Network, Air Force Institute of Technology, Product Development Research Symposium, November 12, 2010. • Egbelu, P.J., ‘Preparing Nigeria for a Knowledge Driven Economy through Science and Engineering’, Nigerian National Order of Merit Forum, December 2-4, 2008. • Egbelu, P.J., “Logistics and Manufacturing Networks,: Keynote address, Conference on Logistics and Manufacturing, Korea University, Seoul, Korea, February 22-24, 2007. • Egbelu, P.J., “Linking Proposal Success to Understanding NSF Mission, Goals, and Programs,” Penn State University, Altoona, January 2006. • Egbelu, P.J., “The Changing Dimension of Engineering and its Impact on Career Opportunities,” Penn State University, University Park, Pennsylvania, October 2005. • Yu, W. and Egbelu, P.J., “Crossdocking Operation in a Supply Chain System as an Instrument for Just-In-Time,” INFORMS Conference, Atlanta, GA, October 2003. • Egbelu, P.J., Control of a Cross docking Operation in a Supply Chain System, Computers and Industrial Engineering Conference, Tino Island, Greece, June, 2002. • Egbelu, P.J., “An Analysis of the Competitiveness of the Manufacturing Sector in Africa”, Africa-USA Conference on Manufacturing Technology, Abuja, Nigeria, July 8-11, 2002. • Commencement Speaker, African-American Robing Ceremony, Spring Graduation Exercises, Louisiana State University, Baton Rouge, Louisiana, May 17, 2001. • Egbelu, P.J., Sustaining US-South Africa Collaboration in Manufacturing Research through Students and faculty Exchange Programs, 2001 National Science Foundation Design, Service, and Manufacturing Grantees and Research Conference, January 8, 2001. • Egbelu. P.J., “Product Tracking for Improved Service in a Global Supply Chain Network,” INFORMS Annual Meeting, San Antonio, Texas, November 5-8 2000. • Egbelu, P.J. and Yu, Wooyeon, “Design of Zone-Based Tandem Layout for Automated Guided Vehicle Systems,” INFORMS Annual Meeting, San Antonio, Texas, November 5-8 2000. • Egbelu, P.J., and Athikomrattanakul, Pongchai, “Pull-Based Supply Chain Allocation for Multi-Products in Multi-Echelon Distribution System,” INFORMS Annual Meeting, San Antonio, Texas, November 5-8 2000. • Okogbaa, G.O. and Egbelu, P.J., Engineering Ethics, An Imperative for Sustainable Development, 5th Africa-USA International Conference on Manufacturing Technology, Abuja, Nigeria, July 10-14, 2000.